Horizontal Blinds like Wood and Faux Wood Blinds both provide light control, privacy and a visual appeal to your décor at home. Both blinds provide the same benefits, but not in price, durability and composition. This blind works best in home windows especially if you are concerned about privacy, exposure to heat from the sun, glare and humidity. 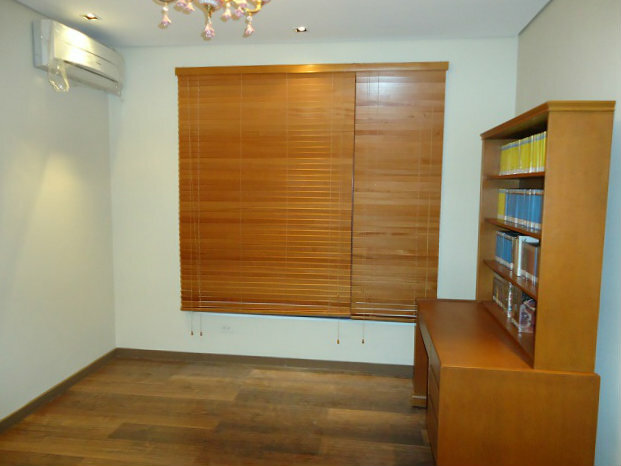 Wood Blinds are popular from being elegant and good looking among other types of blinds. These blinds have more high-end visual appeal. Wood blinds are more expensive because wood is more expensive than plastic and staining and painting of wood slats can also add to the production costs of these blinds. If wood blinds will not be exposed regularly to heat or high humidity, these blinds will last for several years. Wood blinds, as an organic material, are more susceptible to sagging, while discoloration is not a big problem for this blinds can be painted yearly without being damaged. Wood blinds is not required in areas with higher moisture content such us bathrooms, kitchen and basement for it will affect the structural integrity of the wood slats, causing to sagging and warping of the blinds. Faux wood blinds can withstand in higher temperature, and higher level of humidity compare to wood. They are applicable in high moisture area like kitchen, bathroom and garage without worrying of blinds cracking, discoloration, and warping. Faux wood blinds are also beautiful to look at, but wood blinds are more elegant to look at than faux wood. 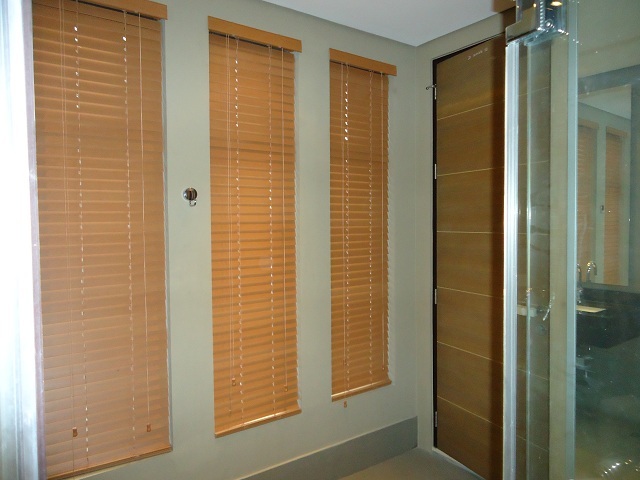 The production of faux wood blinds is not that expensive and complicated than wood blinds. Slicing long planks of plastic into slats is the easy way of cutting it because the finishes of faux wood blinds are already integrated into the actual production of the plastic. Faux wood blinds are made from less expensive materials. The grain in faux wood blinds is part of the result of the said stamping process. If your home motif is more of wood, try to decide now if what type of blinds you will opt for your home. Consider the environment where your home is located as well as your budget for window blinds. In DS Windows and Walls, Wood and Faux wood blinds come in an array of colors and finishes. Just visit DS Windows and Walls for you to see more sample swatches for different type of blinds, our kiosk are located at 2nd level Pacific Mall, Lucena City, 3rd level Robinsons Metro East, Pasig City and 4th level Waltermart, Makati City. 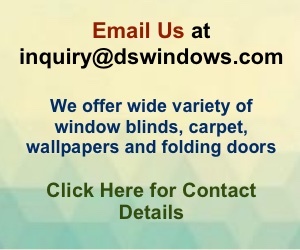 You can also email us at inquiry@dswindows.com or call us at 0916-311-3909 / (02) 893-1373 / (02) 403-3262 / (02) 668-9668.